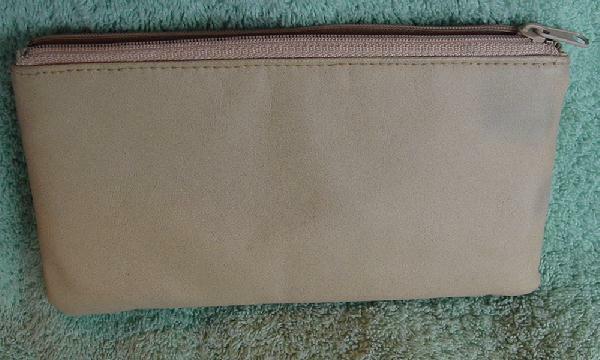 This never used light tan vinyl makeup bag has an attached glass case with a velcro flap closure. The interior vinyl lining has "designed by Valerie Barad" all over it. 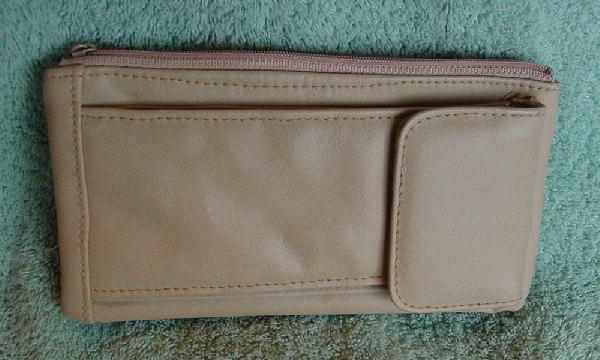 The makeup section has a top side to side zippered closure. The back has a some bluish spots on the left side. It can also be used as a clutch purse.